Teachers and students can freely use Creative Commons licenced material and can apply Creative Commons licences by using the licence tool to material they create. This allows sharing of resources with other educators and schools. The main focus is on what you CAN do with the material rather than what you cannot do. The National Copyright Unit and Creative Commons Australia have jointly developed an information pack for teachers and students on Creative Commons (CC). The pack explains what CC is, how to find CC material and the best way to attribute CC material. These are great resources not just for students and educators, but for anyone looking for more information on how to use CC material. An educational video explaining how to share digital content legally using Creative Commons licences. This video explains in practical terms how creators expose, share, and remix their works using our free public licenses. 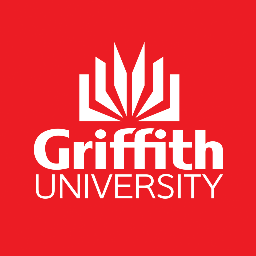 The IMERSD (Intermedia, Music Education & Research Design) project established at Griffith University in 2004 uses Creative Commons licences in the production and publication of their key works. The project emphasises the importance of immersion and engagement across various art forms and facilitates sharing of creative works through the use of Creative Commons licences. For more information about the IMERSD project check out their website: www.griffith.edu.au/imersd or the Creative Commons case study. Creative Commons, Education and Research – Case studies pertaining to the use of Creative Commons material in Education. You can find a video of former CCau staffer Jessica Coates guest lecturing to students in QUT’s undergraduate Education course (broken into 10 segments) on Youtube starting here. All the segments are available on QUT lecturer Michael Dezuanni’s video channel here. You can find the associated slides here. Sharing Creative: an illustrative primer – produced by Alex Roberts, Rebecca Rojer, & Jon Phillips. The ResourceLink Guide To Copyright – created by Kay Oddone @KayC28. An infographic for educators and students about copyright and Creative Commons licences.